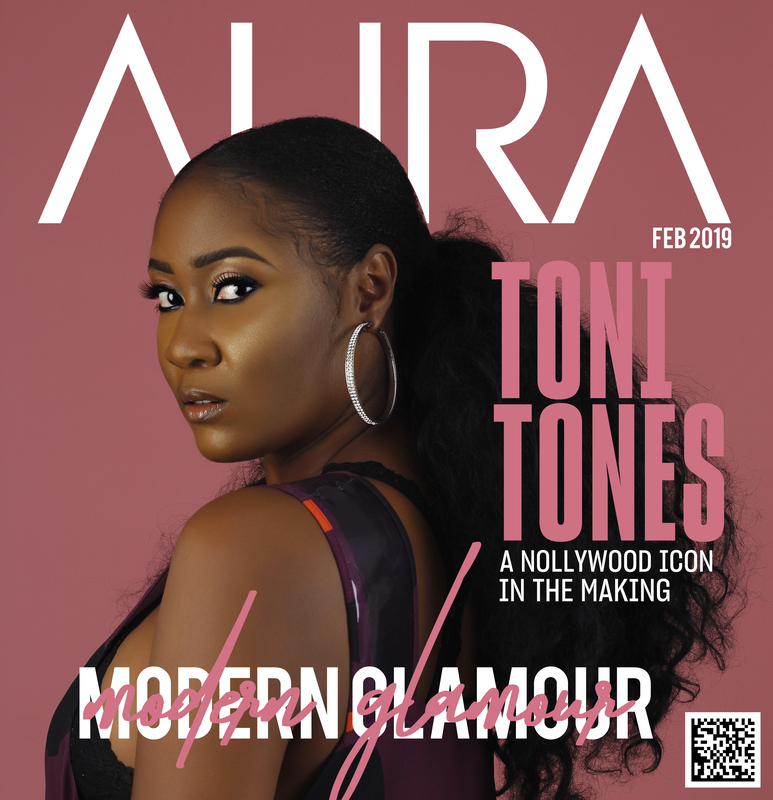 In 2018, Toni Tones made an indelible mark in Nollywood with her critically acclaimed performance in box-office smash, ‘King of Boys.’ 2019 is definitely THE YEAR of Toni Tones, as she shows no signs of slowing down. In an in-depth interview with Aura Magazine, the triple-threat talent gives readers a rare glimpse into her artistry, living life purposefully, as well as her hopes, dreams, and ambitions. #TeamTT this one is for you! This is our second cover this month. Thank you for all of your constant love and support. I love you guys so much, as I always say, I do this for you. I promise to keep working hard and making you guys proud. Toni has completely shattered the proverbial box and is blazing her own trail. Watch out world! This icon in the making is here to stay. On landing her role in King of Boys: That was thanks to Kemi Adetiba. I heard she was making a film and Kemi is a director I had been dying to work with. I reached out to her and let her know I would love to audition for her film. She set up an audition for me a few days later. She was impressed with my audition and cast me. A fun fact: I never auditioned for the role I played, the young ‘King of Boys’. I actually auditioned for The role of Kemi Salami, her daughter, which went on to be played by Adesua, but Kemi thought I was more suited for the role of Young Eniola and cast me for that. I will always be grateful to her for the opportunity to play this role, that gave me a chance to really show my versatility as an actor. On obstacles she’s faced during her acting career: It was tough being accepted as an actor because people knew me as a photographer and after then, a musician. Hearing that I was an actor as well, I think it was hard for them to take me seriously initially. A lot of people probably assumed I was just playing around as opposed to chasing my dreams. It seemed like having more than one career was looked upon as a bit of a crime; people tend to put you in a box. They know you for one thing and that is what they choose to be comfortable with and when you try to break out of that box, there’s a lot of opposition. But I am not here to make anybody comfortable, I am here to achieve every single goal that my heart desires and achieve I will. On where she sees herself in five years: Five years from now, I hope to have broken into Hollywood. Five years from now, I should also be well settled into producing and directing my own films, providing opportunities for actors and contributing to the Nollywood narrative.